Nearly 60 seat belt offences were detected during a recent ‘Surround a Town’ event in Halstead – as well as one arrest for drug driving. The latest Surround a Town day took place in Halstead on 7 February, with more than 80 motoring offences detected by SERP partners – the majority of which were seat belt related (59). A total of seven drivers were caught speeding, while six were stopped for using a mobile phone at the wheel. Meanwhile, one driver had his licence revoked after failing an eye sight test. The man in question was given advice on how to get his licence back – along with information on other forms of transport. 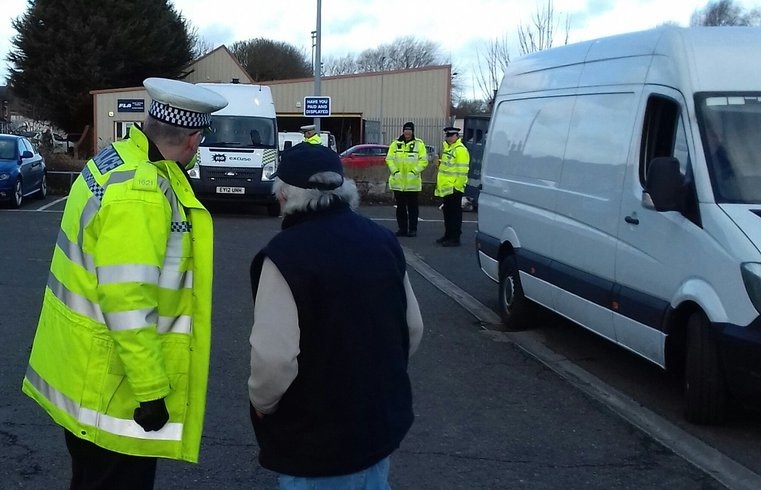 Due to the inclement weather, SERP partners were located in the local Sainsbury store – around 300 metres from the enforcement site – speaking to around 50 people on a number of road safety issues, including those affecting older drivers. A separate School SpeedWatch initiative held on the same day as part of Surround a Town saw a total of 21 drivers caught speeding – with a top speed of 48mph.